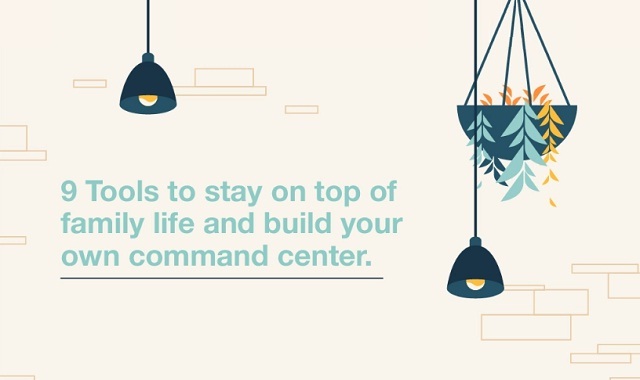 9 Tools to Stay on Top of Family Life and Build your Own Command Center #infographic ~ Visualistan '+g+"
Do you want to reduce your family’s stress load and improve your health? Get control of your clutter. Clutter takes a big toll on mental and physical health. In one study, women who described their houses as disorganized or haphazard had patterns of the stress hormone cortisol associated with post-traumatic stress disorder and chronic fatigue syndrome. And they were more likely to feel depressed. The solution? Create a family command center that serves as the well-organized hub of your family life. The next time you’re searching for keys, paperwork, an address, a backpack, or a shopping list, you’ll know exactly where to look. Keep reading to learn how to build a family command center and make it your favorite place in the house.